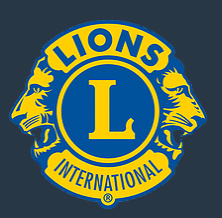 We are delighted to announce that we have today received a £250.00 donation from Lions Club of Maidenhead. The first aid facilities / equipment the club can offers its players and those that use the facility are continually being improved at Summerleaze Park. Improvements like this would not be possible would the help of donations from fantastic organisations such as The Lions Club. The Lions Club of Maidenhead each year make dozens of donations, large and small to local people and organisations. Most donations to people are made as a result of an approach from Social Workers, Health Professionals, Local Organisations and the Citizens Advice Bureau. As well as direct donations, they organise a number of events each year at which local organisations and charities are able to raise money for their good causes. They also donate to international appeals via Lions International.  Prize Draw Results After a few postponed games we were finally able to complete the prize draw. Holyport Football Club are delighted to announce a new sponsor  Holyport Football Club are delighted to announce Anthony Mullan Furniture as their new primary sponsor.